﻿ ICOSEP's mission is to educate the public about children's growth. ICOSEP’s Mission is to unite local and regional support organizations and medical professionals into a global network. This network shares information, experiences and advice, and exchanges resources to help groups effectively advocate for patients. ICOSEP’s commitment is to reduce average diagnosis age of children with growth impacting medical conditions, promote valuable and quality information and encourage long term health improvement for affected children; consequently, adults via early identification. 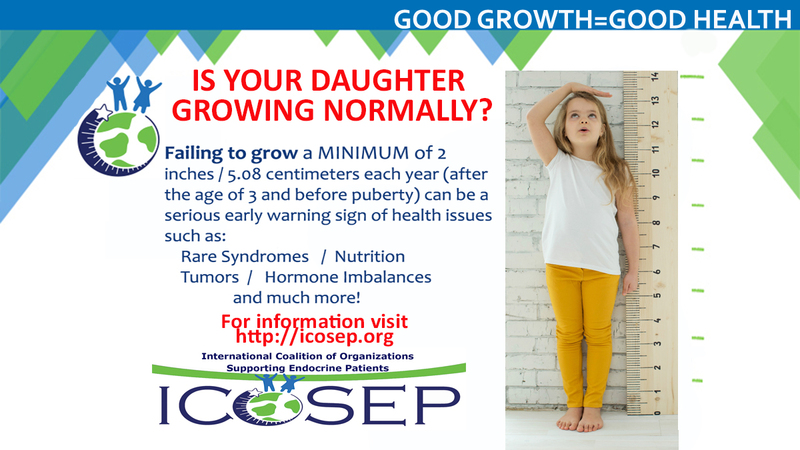 ICOSEP is the proud leader of a global educational project: The International Children’s Growth Awareness campaign. To see the impact, visit our feed.